Weekend Projects for upcoming hang. Some gear I made this weekend for our upcoming hang at Pedernales Falls this coming weekend. First time to make any of this gear. #1 Hang angler for that perfect hang! #2 Cooking situation solved with my first Fancy Feast stove, inspired by Shug! 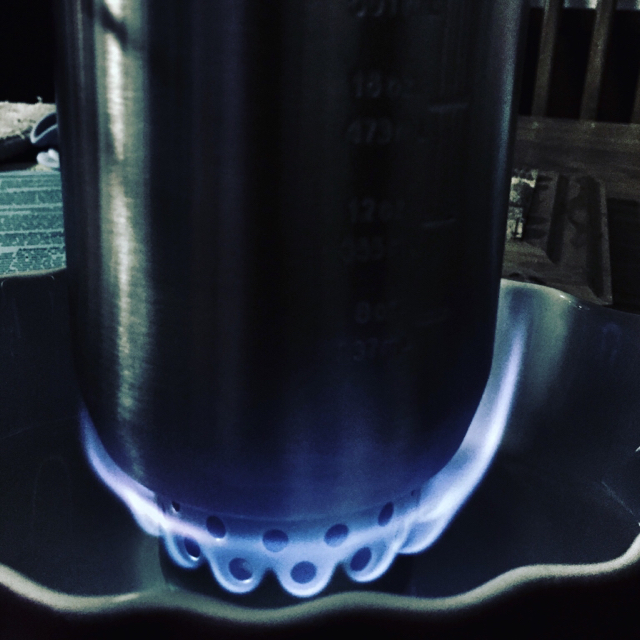 2 cups full boil with 3/4oz of fuel in 7min. I'm in no rush! #3. Cook pot kozy, to keep things hot or cold longer! [emoji106] #4 Group photo #5 Packed in nice and "kozy"! Re: Weekend Projects for upcoming hang. I agree, and will actually be doing the same thing. It will pretty much just be used for my morning coffee. I don't yet have a dehydrator so this trip will be my first time trying packit gourmet meals. Hey that works, did you read up on any resources, or was it more of a trial and error? Also, any recommendations on dehydrators? Very nice! I was thinking just this morning about making a hang angler! Nice to see that someone else did it. I'm totally going to rob your idea btw! Thank you! Not my idea just made my own version. Don't see them often, and most people probably just guesstimate it. Guess I'm OCD about it and it's so light why not right? Somebody else does a bunch of DIY before heading out. I am no longer alone! If you want to make your own dehydrated (or freeze dried) meals, go to Make Your Gear and/or Harmony House to get ingredients in small packages and combine them with common "just add water" foods in the grocery store and you not only will have cheaper meals, but made to your own taste, meal size, and preferred style. I've got some videos here that should give you some ideas. Tried to find a trailer spot at PFSP for this weekend (Mama and daughter ain't quite ready to go full hang yet) but still no cancellations. Wished I'd have known about it sooner. Oh well...next time. Y'all have fun. Enjoy the trails! Thank you, I'll be posting up some pics/vids of the trip[emoji106].